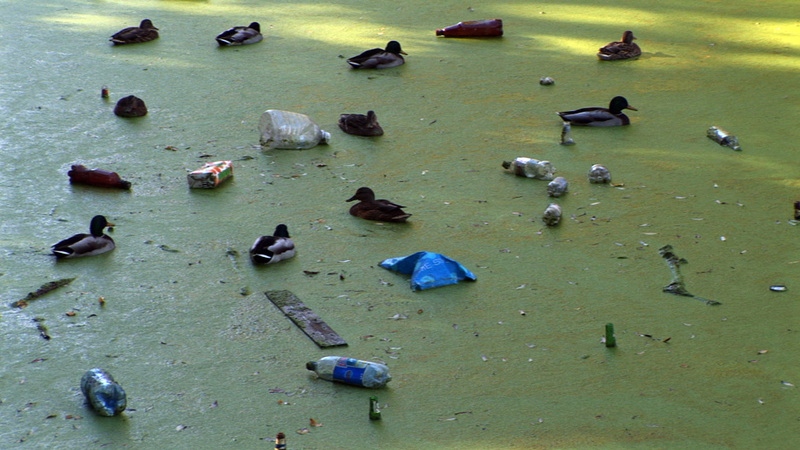 The video depicts a river in a St.Petersburg parc. Nature and waste coexist harmonic side by side. The videography must resemble photography. It should be shown on a simple high definition flatscreen like a framed photograph on the wall or as a huge high definition projection.